Erika Batista has worked with numerous brands such as Johnson & Johnson, Aveeno, Huggies, Neutrogena, L'Oreal, Sears and more. She has been featured on Bella Magazine, Latina Magazine, People en Espanol, Cosmo for Latina and People Stylewatch, as well as television appearances on major hispanic television networks. This is a one-stop guide for the modern woman who does it all without compromising her style and love for fashion according to Mom.me. 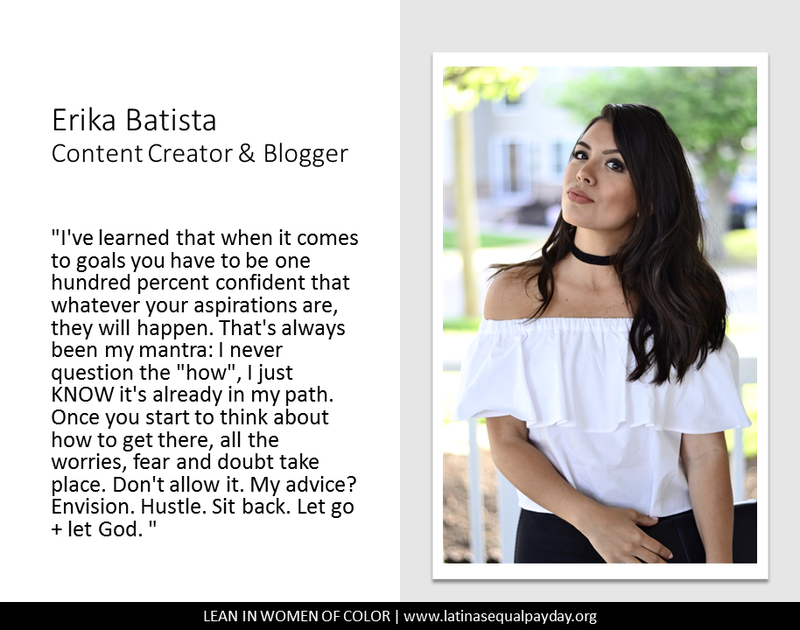 [In recent years], instead of focusing solely on fashion and beauty content through her blog, Batista has expanded into more vulnerable and personal aspects of her life — her opinions and lived experiences.